You are here: Home › Research › Research in Homeopathy – There’s Lots of It! Research in Homeopathy – There’s Lots of It! I’m constantly amazed at the ease with which critics of homeopathy confidently declare that there’s no evidence for homeopathy, and even more amazed at the lack of scrutiny that’s given to this statement by the media. Whether this declaration is made through simple ignorance, stupidity or with the deliberate intent to deceive, would make an excellent topic for investigation. Either way, the assertion that there’s no evidence for homeopathy is plainly and clearly wrong. Shown below are abstracts from human, animal, plant and in-vitro scientific studies that attest the reality that there is indeed evidence for homeopathy, and lots of it. 5. Baduluci S, Chirulescu Z, Chirila P, Rosca A. Zinc: Immunoglobin Relationship in Patients with Cirrhosis of the Liver Before and After treatment with Zincum metallicum 5C.International Research Group on Very Low Dose and High Dilution Effects, 1993 Giri Meeting,British Homoeopathic Journal, April, 1994, 83, 84-100. 10 people suffering from Zinc deficiency as determined by atomic absorption spectrophotometry were treated with Zincum metallicum5C. Analysis following this treatment showed a substantial improvement in zinc levels. 6. Banerjee A, Chakrabarty SB, Karmakar SR, Chakrabarty A, Biswas SJ, Haque S, Das D, Paul S, Mandal B, Naoual B, Belon P, Khuda-Bukhsh AR. Can Homeopathy bring additional benefits to Thalassemic Patients on Hydroxyurea Therapy? Encouraging Results of a Preliminary Study. Evidence Based Complementary and Alternative Medicine. 2010 March; 7(1): 129–136. In this observational study, 38 people suffering from thalassaemia who were taking hydroxyurea, were allowed to continue their use of hydroxyurea but were given one of several homeopathic medicines. The effects of this additional treatment were compared to the outcomes of another 38 people suffering from thalassaemia who used hydroxyurea alone, assessed immediately before and at 3 months after starting the homeopathic treatment. Of a range of haematological and clinical parameters, those people using the combined treatment showed an increase in levels of foetal haemoglobin over those on hydroxyurea alone, along with a reduction in serum ferritin. Where splenomegaly was present, a significant reduction in this was noted in those on the combined therapy and this group also noted an improvement in general health with a longer period allowed between blood transfusions. 7. Barnes J., Resch K-L., Ernst E. Homoeopathy for Post-Operative Ileus: A Meta-Analysis.Journal of Clinical Gastroenterology, 1997, Dec, 25, 4, 628- 633. 7 separate trials examining the effects of homoeopathic treatment for post-operative ileus after abdominal or gynaecological surgery when compared with placebo, specifically, for the time to first flatus after surgery. Subsequent analysis showed that homoeopathy provided superior results to placebo. 10. Belon P, Banerjee A, Karmakar SR, et al. Homeopathic remedy for arsenic toxicity?Evidence-based findings from a randomized placebo-controlled double blind human trial.Sci Total Environ. 2007 Jul 10. This was a pilot study carried out on 25 people from an Indian village where arsenic contamination was endemic and 18 people from another Indian village without arsenic contamination. These people were randomly assigned to receive either Arsenicum album 30C or a succussed placebo control. After 2 months on either active medicine or placebo, these people had their blood and urine assessed for arsenic as well as several widely accepted toxicity biomarkers and pathological parameters related to arsenic toxicity. The use of Arsenicum album 30C had a beneficial effect on these biomarkers. It was also found to improve the appetite and general health of those people who previously exhibited signs and symptoms of arsenic toxicity. 21. Clark J, Percivall AA. Preliminary Investigation into the Effectiveness of the Homoeopathic Remedy, Ruta graveolens, in the Treatment of Pain in Plantar Fasciitis.British Journal of Podiatry, 2000, 3, 3, 81- 85. In a randomised double-blind trial, 14 people suffering from plantar fasciitis were given Ruta graveleons 30C or placebo. Those using the Ruta reported a greater level of pain relief than those using placebo. 23. Colin P. Homeopathy and respiratory allergies: a series of 147 cases. Homeopathy.2006 Apr;95 (2):68-72. In this case series, 147 consecutive patients suffering from respiratory allergy who attended a private homeopathic clinic were assessed for their response to constitutional homeopathic treatment. Of these patients, 105 were sufferers of ear, nose and throat allergies. Only 2 of these patients failed to respond to treatment and none experienced an exacerbation of symptoms. The other 42 patients were sufferers of pulmonary allergies, all except 5 of whom experienced relief, with 2 of these experiencing an exacerbation of symptoms. 26. Dorfman P, Lassere NM, Tetau M, Homoeopathic Medicines in Pregnancy and Labor,Cahiers de Biotherapie, 94, April 1987, 77-81. In this randomised double blind trial involving 93 women, a combination of homeopathic Caulophyllum, Actea racemosa, Arnica, Pulsatilla and Gelsemium, all in 5C potency, was used to determine its effect on the length of labor and complication rates. The medicine was used from the beginning of the ninth month of pregnancy, and reduced the average time of labor to 5.1 hours, in comparison to the placebo, the use of which was associated with an average labor time of 8.5 hours. The rate of complications for those using the homoeopathic combination was 11.3% while the complication rate under placebo was 40%. 30. Fisher P., Greenwood A, Huskisson EC, Turner P and Belon P. Effect of Homoeopathic Treatment on Fibrositis. British Medical Journal, 5 August, 1989, 299, 365-366. Patients usingRhus tox 6C three times daily in a double blind placebo controlled crossover trial found significant relief with the medicine over the placebo. 39. Friese KH, Zabalotnyi DI. Homeopathy in acute rhinosinusitis : A double-blind, placebo controlled study shows the efficiency and tolerability of a homeopathic combination remedy. HNO (Organ of the Deutsche Gesellschaft der Hals-, Nasen- und Ohrenärzte) 2006 December, 19. Using a randomized, double-blind study method, 144 people with acute rhinosinusitis were treated with a either a combination of homeopathic remedies (Group A) or placebo (Group B) and assessed at days 0, 7, 14 and 21 of treatment using a 5 point sinusitis symptom score (the worst score being 20). After analysing the results it was found that those in Group A experienced a drop in symptom scores from 12.1+/-1.6 to 5.9+/-2.0 points after 7 days. Those in Group B found a decrease from 11.7+/-1.6 to 11.0+/-2.9 points (p<0.0001). The final results showed that the homeopathic combination resulted in freedom from complaints in 90.3% of the patients and improvement in a further 8.3%, whereas in the placebo group, the complaints remained unchanged or became worse in 88.9% of the patients. 40. Gasssinger CA, Wunstel G, Netter PA Controlled Clinical Trial for Testing the Efficacy of the Homoeopathic Drug, Eupatorium perfoliatum, D2 in the Treatment of Common Cold.Arznei Forsch, 1981, 31, 4, 732-736. Patients were randomly assigned to receive either Aspirin or Eupatorium perfoliatum 2X. The latter was found to be as effective as Aspirin in reducing the duration and severity of symptoms. 41. Gerhard I, Wallis E. Individualised Homeopathic Therapy for Male Infertility,Homeopathy, 2002, 91, 133-144. An observational pilot study investigated the effect of individualised homeopathic therapy for 45 sub-fertile males, with specific reference to sperm count and quality, hormone levels and the general level of health. Sperm count and sperm motility were improved by homeopathy and the improvement was comparable with conventional treatment. 45. Gmnunder R, Kissling R. The Efficacy of homeopathy in the treatment of chronic low back pain compared to standardized physiotherapy. Zeitschrift für Orthopädie und ihre Grenzgebiete, 2002 Sep-Oct;140, 5, 503-8. In this controlled, randomised, prospective study, 43 people suffering from chronic low back pain were treated for two months either by homeopathy or by standardised physiotherapy. Assessment based on the initial and final clinical investigations, an Oswestry questionnaire, and visual analog scale, found that the most successful method of treatment was homeopathy. 46. Goldstein MS, Glik D. Use of and satisfaction with homeopathy in a patient population.Altern Ther Health Med. 1998 Mar;4(2):60-5. Carried out in 9 homeopathic clinics in the Los Angeles area, this study was done to determine the success or otherwise of constitutional homeopathic practice as assessed by the people who’d undergone this therapy. The study also looked at the characteristics of the people involved in the study. Information was provided by 77 clients. At 4 months after treatment, 71% of clients reported improvement in their health status. This is contrasted with the fact that 80% of all clients enrolled in this survey had had previous orthodox medical treatment for their condition which they had found unsuccessful. The most common presenting complaints involved the respiratory, gastrointestinal and female reproductive systems and most clients were highly educated but had little knowledge of homeopathy prior to their treatment with it. 49. Haila S, Koskinen A, Tenovuo J. Effects of homeopathic treatment on salivary flow rate and subjective symptoms in patients with oral dryness: a randomized trial. Homeopathy.2005 Jul, 94, 3, 175-81. In this blind, placebo-controlled study, 28 people diagnosed with xerostomia (dryness of the mouth) were randomly assigned to receive either placebo or individually prescribed homeopathic medicines. Assessed using un-stimulated and wax-stimulated salivary flow rates and visual analogue scales at the end of the trial, 26 of those people using homeopathic treatment and none using placebo were found to have had significant relief. Following the assessment of these results those on placebo were switched to homeopathic therapy, after which all experienced relief from their xerostomia. 59. Jacobs J, Jonas WB, Jimenez-Perez M, Crothers D. Homeopathy for childhood diarrhea: combined results and meta-analysis from three randomized, controlled clinical trials.Pediatr Infect Dis J. 2003 Mar;22(3):229-34. In this meta-analysis (an analysis carried out to determine overall trends in a group of similar studies) three double blind clinical trials of diarrhoea in 242 children aged 6 months to 5 years were analysed as one group. The children received either an individualised homeopathic medicine or a placebo, for 5 days after each unformed stool. Records were kept by parents and the duration of diarrhoea was defined as the time until there were less than 3 unformed stools per day for 2 consecutive days. Diarrhoea ceased in those taking homeopathic medicines after 3.3 days and after 4.1 days in those using placebo. 62. Karow JH, Abt HP, Fröhling M, Ackermann H. Efficacy of Arnica montana D4 for Healing of Wounds after Hallux valgus Surgery compared to Diclofenac. J Altern Complement Med.2008 Jan-Feb;14(1):17-25. In this randomised, double-blinded, parallel group study, 88 people who were recovering from foot surgery were randomly assigned to receive either Arnica 4X at a rate of 10 pilules 3 times daily or Diclofenac 50mg 3 times daily. Both therapies were used for 4 days following the surgery. At day 4, subjects were assessed for their postoperative irritation, mobility, pain level, and their use of analgesics. Analysis of the results at this point showed that Arnica and Diclofenac provided the same level of reduction in wound irritation (including swelling) and mobility. Subjective assessment by patients rated Arnica as superior to Diclofenac for mobility. Diclofenac was superior to Arnica for pain reduction and there was no significant difference in analgesic use during the 4 days following surgery. It was also noted in the study that Arnica was 60% cheaper than Diclofenac. 70. Lamont J., Homoeopathic Treatment of Attention Deficit Hyperactivity Disorder(ADHD). British Homoeopathic Journal, 1997, 86, 196-200. 43 children with ADHD were given either a placebo or an individualised homeopathic medicine, in accordance with a double blind partial crossover dose regime. When the results were compared at the end of the trial, it was found that the homeopathic treatment for ADHD was superior to that using placebo. 80. Milewska G, Trzebiatowska-Trzeciak O. Homoeopathic Treatment of Alcohol WithdrawalBritish Homoeopathic Journal, October 1993, 82, 249-251. Alcohol withdrawal and delirium tremens experienced by 30 alcoholics was the focus of this uncontrolled study carried out in a Polish medical clinic. Patients were treated with individualised homeopathy and their progress followed for 2 months. The treatment resulted in a reduced duration of alcohol withdrawal time and delirium tremens in all patients. 82. Mohan GR, Anandhi KS. Efficacy of homeopathic drugs in dermatitis of atopic diathesis.Homoeopathic Links, 2003, Winter, 16, 4, 257-260. The authors treated 31 people suffering from either atopic skin and respiratory symptoms, or atopic skin symptoms alone. Both groups were treated with individualised homeopathic therapy over a period of 5 years. During a 6 month assessment period following this treatment, the authors determined that 41% of the group with skin and respiratory symptoms achieved not less than a 76% improvement in symptoms and 58% of the group with skin symptoms alone achieved this outcome. 83. Mohan GR. Efficacy of Homeopathy in Childhood Asthmas. Homeopathic Links, Summer 2007, Vol 20, 104-107. This paper reports of work done in India by homeopath, GR Mohan, looking at the results of the homeopathic treatment of 81 children suffering from clinically defined asthma who had previously been treated unsuccessfully with conventional medicine. This open study involved the use of individually prescribed homeopathic medicines for a period of 2 years as a means of reducing the recurrence of asthma attacks. Results were assessed according the 12 point Modified Borg Scale, a subjective scale used to assess the severity of dyspnoea. At the end of the allotted 2 year period, the results were analysed and it was found that asthma had become controlled in 60.5% of children who’d been treated with homeopathy, and some control was achieved in a further 21%. 12.3% of the group failed to respond to the treatment. The medicines used most frequently in this study wereArsenicum album, Merc solubilis, Hepar sulph, Arsenicum iod, Antimony tart, Pulsatilla and Calc carb. 89. Pai PN; Thiosinaminum in the Treatment of Plantar Fasciitis with Calcaneal Spurs.British Homoeopathic Journal, October, 1992, 81, 173-175. In this uncontrolled study, 43 people suffering from plantar fasciitis and calcaneal spurs were treated with homeopathic Thiosinimum, Thiosinimum and Merc cor, or Thiosinimum and Merc biniod. Thiosinimum alone proved to be the therapy most likely to be helpful in resolving recently developed cases. 91. Pomposelli R, Piasere V, Andreoni C, Costini G, Tonini E, Spalluzzi A, Observational study of Homeopathic and Conventional therapies in patients with Diabetic Polyneuropathy.Homeopathy. 2009 Jan;98(1):17-25. Researchers at the University of Verona in Italy designed this observational study to compare the effects of homeopathic therapy with conventional drug therapy for diabetic neuropathy. Over a 12 month period, 32 patients treated with homeopathy and 29 patients given conventional drug therapy were assessed for clinical symptoms and quality of life at baseline, 6 months and 12 months after beginning treatment. Improvement from baseline polyneuropathy symptoms was noted in both groups but only those treated homeopathically reached outcomes that were statistically significant. Both groups experienced improvements in blood pressure and body weight as well as levels of fasting blood glucose and glycated haemoglobin. In addition, only those in the homeopathy group noted an improvement in quality of life scores over the period of the study. It was also noted that homeopathic treatment was more economical than the conventional drug alternative. 92. Popov A.V. Homoeopathy in the Treatment of Patients with Fibromyoma of the Uterus.British Homoeopathic Journal, October 1992, 81, 164-167. In this study, 84 women suffering from various forms of uterine fibromyoma were prescribed individualised homeopathic medicines over a period of 1 to 3 years. Assessments at the end of the treatment period found that pain was improved in 79% of the subjects, abnormal bleeding was improved in 75% of subjects and in the majority of subjects the treatment resulted in a reduction of fibromyoma volume. 106. Schneider C, Klein P, Stolt P, Oberbaum M. A homeopathic ointment preparation compared with 1% diclofenac gel for acute symptomatic treatment of tendinopathy.Explore (NY). 2005 Nov, 1, 6, 446-52. In this non-randomised, observational study carried out in 95 German homeopathic and conventional medical clinics, 357 people with various forms of tendinopathy were given either an ointment containing a mixture of homeopathic remedies, or Diclofenac (a popular nonsteroidal anti-inflammatory agent), for up to 28 days. Using a four-degree scale on pain-related variables related to motility, and on overall treatment outcome, the ointment containing the mixture of homeopathic remedies provided a therapeutic outcome that was superior to Diclofenac. 117. Steinsbekk A, Ludtke R. Patients’ assessments of the effectiveness of homeopathiccare in Norway: a prospective observational multicentre outcome study. Homeopathy, 2005, 94, 1, 10-6. In this prospective uncontrolled observational multi-centre outcome study, 654 people who’d visited 80 Norwegian homeopaths were asked to assess, via a Visual Analogue Scale (VAS) the effectiveness of this form of treatment comparing the VAS score at their first consultation with the VAS score 6 months later. After the results were collated it was found that 70% of those people visiting a Norwegian homeopath reported a meaningful improvement in their main complaint 6 months after the initial consultation. 121. Tuten C, McLung J. Reducing Muscle Soreness with Arnica Montana. Alternative and Complementary Therapies, December 1999, 5, 6, 369- 372. 23 people were given either placebo or Arnica 6X for the management of delayed onset muscle soreness after exercise. Outcomes were assessed subjectively by the participants themselves, and by creatinine kinase (CK) assays. CK levels are indicative of muscle or connective tissue damage. While there was only a small subjective difference between the 2 groups, the people using Arnica6X produced less CK than those using placebo, which tends to indicate that those using Arnica experienced less tissue damage on exertion. 128. Walach H, Möllinger H, Sherr J, Schneider R. Homeopathic Pathogenetic Trials produce More Specific than Non-Specific Symptoms: Results from Two Double-Blind Placebo Controlled Trials. J Psychopharmacol. 2008 Jul;22(5):543-52. Professor Harold Walach of the University of Northampton and his colleagues have made something of a habit of carrying out provings of homeopathic medicines (particularly Belladonna) within fairly rigidly controlled settings. In this instance the researchers set up 2 studies, both of which were carried out in blinded conditions. The first of these compared the symptoms seen in a controlled proving of homeopathically prepared Ozone with the effects of a placebo used in the same way. The second test compared the symptoms seen in a controlled proving of homeopathically prepared Ozone and Iridium, used individually, with the symptoms seen from the use of placebo. On analysis, the results showed that both Ozone and Iridium, when used under proving conditions, produced a statistically significant level of symptoms specific to the original provings for the homeopathic preparation. 132. Weisser M, Strosser W, Klein P. Homeopathic vs Conventional Treatment of Vertigo.Arch Otolaryngol Head Neck Surg, 1998, Aug, 124, 8, 879-885. A study group of 119 people suffering from vertigo were treated either with betahistine hydrochloride (acting as an active control, commonly prescribed by medical authorities for this condition) or a homoeopathic complex. Both of the interventions were equally successful in relieving vertigo. 135. Wiesenauer M, Haussler S, Gaus W. Pollinosis therapy with Galphimia glauca.Fortschritte der Medezin, 1983, 101, 17, 811-814. Using a randomised, placebo-controlled, double-blind, multi-centre design in this trial, 86 people suffering from hay fever were treated for 5 and a half weeks with either homeopathic Galphimia glauca 4X or placebo. Therapeutic success was seen in 83% of those using the Galphimia and 47% of those using placebo. 136. Wiesenauer M, Gaus W, Haussler S. Treatment of Pollinosis with Galphimia glauca.Allergologie, 1990, 10, 359-363. 54 practitioners treated 201 people suffering from hay fever either with placebo or homeopathic Galphimia glauca. Assessment at the end of the 5 week treatment period found that nasal symptoms were cured or significantly improved in 77% of subjects using Galphimia versus 46% of those using placebo and eye symptoms were cured or significantly improved in 77% of subjects using Galphimia versus 51% of those using placebo. 140. Witt CM, Ludtke R, Mengler N, Willich SN. How healthy are Chronically Ill Patients after Eight years of Homeopathic Treatment? – Results from a long term observational study.BMC Public Health 2008, 8:413. German academic and researcher Professor Claudia Witt has been responsible for a number of excellent papers on homeopathy and in this, she and co-workers drew data from 103 Swiss and German homeopathic medicine clinics in an effort to determine the level of change to the health status of patients over periods of 2 and 8 years, as a result of homeopathic intervention, over these times. 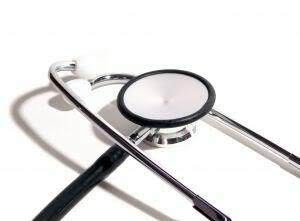 Data was collected from 3709 patients who were asked to assess the level of change to the severity of their medical complaints and quality of life, at the time of first consultation, at 2 years, and at 8 years from that point. The data from adults and children were assessed separately and the former experienced an average reduction in disease severity from 6.2 at baseline to 2.9 at 2 years to 2.2 at 8 years. For children, a reduction from a baseline disease severity of 6.1 to 2.1 at 2 years was noted and then to 1.7 at 8 years. Physical and mental quality of life scores for both groups increased significantly over the study period and interestingly, researchers found that, within the confines of this study, the younger the patient and the more severe the medical condition, the better the potential for the therapeutic success of homeopathy. 145. Zell J, Connert WG, Mau J, Feuerstake G. Treatment of Acute Sprains of the Ankle.Biological Therapy, 7, 1, 1989, 106. Under double blind placebo controlled trial conditions, patients using an ointment containing homoeopathic ingredients for soft tissue injury found significant relief with the medicine when compared to the effects of placebo. 2. Banerjee P, Bhattacharyya SS, Pathak S, Naoual B, Belon P, Khuda-Bukhsh AR.Comparative Efficacy of Two Microdoses of a Potentized Homeopathic Drug, Arsenicum album, to Ameliorate Toxicity Induced by Repeated Sublethal Injections of Arsenic trioxide in Mice. Pathobiology. 2008;75(3):156-70. This subject has had previous attention by Datta, Kundu and others, and in this randomised controlled trial, 6C and 30C homeopathic potencies of Arsenicum album (Arsenic trioxide) were given to mice prior to exposure to material doses of arsenic trioxide, as a means of determining whether or not the potentised Arsenicum album had any influence on the effects of arsenic. Mice were divided into 6 groups with 1 group receiving 6C Arsenicum album, another group receiving 30C Arsenicum album, and the remaining 4 groups receiving various control substances. Cellular and various biochemical parameters such as acid and alkaline phosphatases, aspartate and alanine aminotransferases, glutathione, lipid peroxidation, catalase and succinate dehydrogenase were assessed at 30, 60, 90 and 120 days from the beginning of the study. On analysis of these results it was found that both the 6C and 30C potencies of Arsenicum album provided protection against the effects of arsenic trioxide, with the 30C providing a slightly better level of protection than the 6C. 7. Cazin JC, Cazin M, Gaborit JL, et al. A Study of the Effect of Decimal and Centessimal Dilutions of Arsenic on the Retention and Mobilisation of Arsenic in the Rat. Human Toxicol,1987, 6, 315-320. Radioactively labelled arsenious anhydride was administered to 60 rats. The rats were then given various homeopathic potencies (10X to 30X and 5C to 15C) of arsenicum album or a potentised water control. All of the potencies successfully increased the excretion rate of the radio-labelled arsenious anhydride when compared with the control, with the highest level of excretion being produced by the 14X and 7C potencies. 14. de Paula Coelho C, D’Almeida V, Pedrazzolli-Neto M, Duran-Filho C, Florio JC, Zincaglia LM,Bonamin LV. Therapeutic and pathogenetic animal models for Dolichos pruriens.Homeopathy. 2006 Jul, 95, 3, 136-43. This study was designed to determine the effect of various homeopathic potencies of Dolichos pruriens on artificially induced itch in laboratory rats, and also to determine if these potencies could elicit a proving effect in normal rats. In the first part of this study (performed blind) the rats with the induced itch were given ascending potencies of the remedy over a 30 day period and the results compared to placebo controls. It was found that all potencies of the remedy provided a therapeutic effect against the induced itch. In the second part of the study, also performed blind, no proving effects were seen. 16. Eizayaga FX, Aguejouf O, Belon P, et al. Platelet aggregation in portal hypertension and its modification by ultra-low doses of aspirin. Pathophysiol Haemost Thromb.2005;34(1):29-34. Researchers in this controlled study attempted to determine the effects of potentised aspirin on rats exhibiting reduced platelet aggregation associated with portal hypertension. Given that material doses of aspirin are known to be associated with a reduction in platelet aggregation, one of the aims of the study was to confirm that the reverse of this would be the case with if potentised aspirin were used. The researchers did, in fact, confirm this in their results which showed that, compared to controls, Aspirin 14C normalised deficiencies in platelet aggregation in the rats involved in this study. 24. Kuzeff RM, Mecheva RP, Topashka-Ancheva MN. Inhibition of (-)-propranolol hydrochloride by its enantiomer in white mice–a placebo-controlled randomized study.Forsch Komplementarmed Klass Naturheilkd. 2004 Feb;11(1):14-9. Researchers in this trial from Swinburne University of Technology in Melbourne examined the effects on toxicity from (S)-(-)-propranolol hydrochloride of a homoeopathically prepared optical isomer version of the same substance. 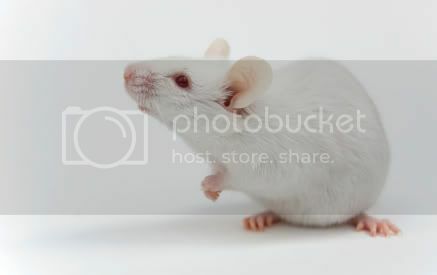 When used in mice prior to exposure to (S)-(-)-propranolol hydrochloride, a remedy made from (R)-(-)-propranolol hydrochloride was found to reduce the toxicity resulting from its isomer. 37. Ruiz-Vega G, Perez-Ordaz L, Leon-Hueramo O, Cruz-Vasquez E, Sanchez-Diaz N.Comparitive Effect of Coffea cruda Potencies on Rats. Homeopathy, 2002, 91, 80-84. 30C and 200C potencies of Coffea cruda and caffeine were administered orally to rats, and EEG data from the parietal region recorded. When compared with control animals, Coffea 30C and 200C were associated with changes in EEG patterns that were consistent with increased sleep activity. 41. Sato DYO, Wal R, de Oliveira CC, Cattaneo RI, Malvezzi M, Gabardo J, Buchi D. de F.Histopathological and immunophenotyping studies on normal and sarcoma 180-bearing mice treated with a complex homeopathic medication. Homeopathy, 2005, Jan, 94, 1, 26-32. 55 mice with experimentally induced sarcomas were given placebo or a homeopathic combination product, and observed daily over a period of 21 days. Compared to those receiving placebo, the mice being given the homeopathic combination showed a reduction in tumor size, an increased infiltration by lymphoid cells, granulation tissue and fibrosis surrounding the tumor, all of which are indicative of a positive response to the medicine. 49. Viriato EP, Bianchetti ES, dos Santos KC, Vaz AF, Campos RMV, Pereira AP, Bezerra RM, Perazzo FF, Carvalho JCT. Study of high dilutions of copaiba oil on inflammatory process.Int J High Dilution Res 2009; 8(26): 9-149. This trial was a collaborative effort by researchers from several Brazilian universities and was designed to test the hypothesis that Copaiba oil, homeopathically potentised to 30C from either mother tincture or triturate, is as effective as Indomethacin in reducing inflammation induced by carageenan, and also to determine if it was capable of influencing tissue granulation when compared to conventional treatment. The 30C potency from mother tincture and triturate both reduced inflammation by up to 73%, and Indomethacin reduced inflammation by 55%. In addition, 6C potencies of Copaiba oil were able to produce a 48% inhibition of granulation, compared to a 57% reduction from the use of Dexamethasone. 2. Baumgartner S, Shah D, Schaller J, Kämpfer U, Thurneysen A, Heusser P. Reproducibility of dwarf pea shoot growth stimulation by homeopathic potencies of gibberellic acid.Complement Ther Med. 2008 Aug;16(4):183-91. In this Swiss study, which was slight variation of previous work done in this area by Hamman and others, dwarf pea seedlings in 4 batches containing seeds taken from adult plants in 1997, 1998, 1999 and 2000, were exposed to 17X and 18X potencies of Gibberellic acid (GA) and cultivated under controlled conditions, alongside dwarf pea seedlings that had received the same level of exposure to 2 negative control substances. GA in material doses is often used commercially to break periods of dormancy in seeds and has the capacity to stimulate the growth of seedlings and it’s an endogenous component of some seeds and is involved in the growth of seeds and alpha amylase activity within the plant.. After 14 days all of these seedlings had their lengths measured and at this point it was found that the controls had performed as predicted, the 1997 seedling batch previously exposed to GA 17X and GA 18X had exceeded the growth rate of the controls by an average of 11.2% and the 1998 batch responded with a mixture of either stimulation or suppression of growth. Batches from 1999 and 2000 failed to respond to either potency of GA.
5. Brizzi M, Lazzarato L, Nani D, Borghini F, Peruzzi M, Betti L. A biostatistical insight into the As(2)O(3) high dilution effects on the rate and variability of wheat seedling growth.Forsch Komplementarmed Klass Naturheilkd. 2005 Oct, 12, 5, 277-83. Wheat seedlings previously stressed with sub-lethal doses of arsenic, a substance known to be lethal to this plant, were treated with various potencies of Arsenicum album (5X, 15X, 25X, 35X and 45X), equivalent potencies of water and equivalent un-succussed dilutions of arsenic trioxide. 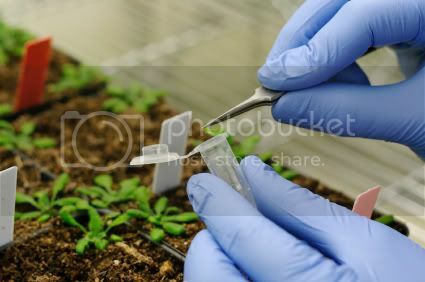 The stem lengths of the seedlings was assessed at day 7 and it was found that the 45X potencies of Arsenicum and the water but not the diluted arsenic trioxide induced an increase in seedling height. 3. Belon P., Cumps J., Ennis M., Mannaioni P.F., Roberfroid M., Sainte-Laudy J., Wiegant F.A.Histamine Dilutions Modulate Basophil Activation. Inflammation Research, 2004, May, 53, 5, 181-8. In this study, which was a replication of work by Jacques Benveniste published in Nature in 1988, the researchers attempted to use homeopathic dilutions of histamine to inhibit the activation of human basophils exposed to an inflammatory mediator. The study was carried out blind in 4 separate laboratories. Histamine dilutions equivalent to 30X and 38X were found to inhibit basophil activation and subsequent histamine release. 4. Casaroli- Marano RP, Alegre J, Campos B. Infrared Changes in Potentised Solutions.Revista Homeopatica, 1998, 38, 5- 12. In this experiment, 70% alcohol/water solutions were serially diluted 1 in 100 up to 30 times, with and without succussion at each step. On examination of each of these significant spectral differences were found between the solutions that were succussed and those that were not, indicating that dilution and succussion may produce structural changes to the molecules in the solution. This may provide further evidence for the possibility of a “memory” of water. 10. Fleisbach A, Fejfar V, Spranger J. Effects of Homoeopathic Potencies: Growth ofSaccharomyces cerevisiae in Potentised Copper Sulphate Dilutions. British Homeopathic Journal, 2000, 89, Supplement 1, S65. Material concentrations of copper sulphate inhibit the growth of Saccharomyces cerevisiae and in this study, researchers determined what effect if any a homeopathic medicine made from copper sulphate would have on this organism. On exposure to homeopathically potentised copper sulphate, a potency dependant inhibition or enhancement of growth was seen. 13. Glatthaar-Saalmuller B, Fallier-Becker P, Weiser M. Influence of homeopathically processed Coenzyme Q10 on proliferation and redifferentiation of endothelial cells.Forsch Komplementarmed Klass Naturheilkd. 2004, Oct, 11, 5,:267-73. CoEnzyme Q10, known for its ability to regulate cell metabolism and proliferation, was assessed for its ability to promote the same functions after being homeopathically potentised. Undifferentiated human umbilical vein endothelial cell cultures were exposed to various potencies of CoQ10 (5X to 10X) The cell division rate was then assessed by flow cytometry and cell differentiation determined by von Willebrand factor expression. The 7X to 10X potencies of CoQ10, and particularly the 8X potency, increased cell proliferation while none of the potencies appeared to enhance cell differentiation. 18. Ramachandran C, Nair PK, Clèment RT, Melnick SJ. Investigation of cytokine expression in human leukocyte cultures with two immune-modulatory homeopathic preparations. J Altern Complement Med. 2007 May;13(4):403-7. The aim of the researchers from Miami Children’s Hospital in Florida who carried out this study was to determine the effects of homeopathics on cellular signalling pathways, specifically, the effects of 2 anti-influenza homeopathic combination products on normal human leukocyte cultures. When the researchers compared the effects of the homeopathic combinations to 20% ethanol solvent controls, it was found that exposure to either of the homeopathic combinations stimulated the production of pro-and anti-inflammatory cytokines by these cells. 19. Singh L.M., Gupta G. Antiviral Efficacy of Homeopathic Drugs against Animal Viruses.British Homeopathic Journal, 1985, July, 74, 3. Researchers at the Indian Central Drug Research Institute in Lucknow carried out this study to determine the inhibiting effects, if any, of various potencies of 10 homeopathic remedies on chicken embryo virus and simliki forest virus, a virus capable of causing encephalitis, paralysis ad death in mice. Homeopathic typhoidinum 200C, hydrophobinum 1M, tuberculinum 1M, nux vomica 200C and malandrinum 1M all produced 100% inhibition of the chicken embryo virus. 23. Witt CM, Bluth M, Albrecht H, Weisshuhn TE, Baumgartner S, Willich SN. The In-Vitro Evidence for an Effect of High Homeopathic Potencies–a Systematic Review of the Literature. Complementary Therapies in Medicine. 2007 Jun;15(2):128-38. This was essentially a meta-analysis of all of the in-vitro studies that have attempted to demonstrate a homeopathic effect to date, carried out by Professor Claudia Witt and colleagues at the Department of Epidemiology and Health Economics, Charité University Medical Center in Berlin, Germany. The aim here was to search all appropriate databases for relevant studies, determine which studies met the quality criteria set by the researchers, and then to determine which, if any of these, exhibited a statistically significant effect in this area. 67 papers were identified that met the quality criteria and of these, 73% found that an effect from high potencies can be demonstrated. The majority of these studies involved the effects of potentised substances on basophils. Replication of some of these studies has been carried out. Contributor: Robert Medhurst is a qualified Naturopath and Homoeopath with 27 years of clinical experience. He has written many articles and lectured throughout Australia and the US on homoeopathy, and has spoken on this subject on commercial radio and TV as well as public radio. He previously operated several natural therapies practices in Sydney, and was involved in teaching and research activities. He now lives in Adelaide and operates the research and development and education departments for a major homoeopathic manufacturer. He also acts as the Expert Advisor on Homeopathy to the Federal Government of Australia, Dept of Health and Ageing.